Artists-in-residence and friends Elena Gold and Dasha Jacobson are on the Sonoma State University (SSU) campus right now, searching for the best locations for their creative sessions at the Limmud Bay Area 2018 Festival. To be inspired and get creative, register at limmudbayarea.org/register! The Bay Area 2018 Limmud Festival is quickly approaching! Are you getting ready for a weekend of provocative thinking with some of the best and the brightest? We are! One such presenter is Esther Kustanowitz, a writer, editor and consultant, a founding editor and contributor at the Actor Mayim Bialik’s blog – GrokNation.com, and a writer at the Los Angeles Jewish Journal. Endlessly fascinated with the on-going evolution of the media picture, and how we receive, consume and share content changes, Esther will discuss social media tools on the panel “In Whom We Trust“. Want to learn more about Esther and other Limmud 2018 presenters? Scroll the bios and descriptions of our program in development at http://limmudbayarea.org/program/. Limmud Bay Area is returning this summer, with registration now open for the weekend-long Limmud Bay Area Festival 2018, to take place June 29-July 1 at Sonoma State University. That means even more of the diverse, intriguing programs Limmud is known for, as well as partnerships with other organizations. Options will include a conversation with the press and media about trust, a look at the past and future of Israel, and a conversation on identity and memory. Last year’s “Taste of Limmud” was a one-day session of Jewish learning workshops at three locations: Berkeley for breakfast, San Francisco for lunch and Palo Alto for dinner. Though it was short, it showed the signature breadth of topic that is typical of Limmud. This year, the program will run from Friday afternoon through Sunday afternoon. Wichter expects around 500 attendees. Limmud Bay Area Festival 2018 will be held June 29-July 1 at Sonoma State University, 1801 E. Cotati Ave., Rohnert Park, with a wide range of prices. We are all feeling incredibly inspired! Thanks to our new Limmud Bay Area 2018 Ambassadors for an exceptional meeting this morning at the Peninsula Jewish Community Center in Foster City (PJCC). Pictured are: Janice Brenner, Lisa Finkelstein, Liki Abrams, Eden Allswang Bruner, Elena Gold, Nanette Rowe, Galina Rogozinsky, Linda Davis, Wendy Lewis Tanz, Alex Shwarzstein, Estee Solomon Gray, Mila Wichter, Elina Kaplan and Len Lehmann. Looking forward to a lot of great volunteer participation ahead! 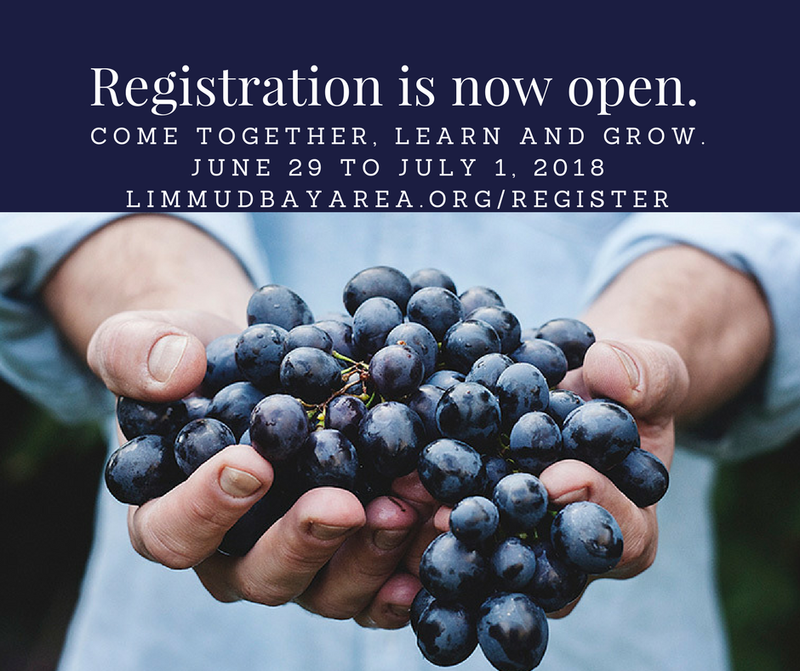 Registration for the Limmud Bay Area 2018 Festival is now open! Please join us June 29-July 1, 2018 at Sonoma State University for an incredible weekend in wine country that matches your curiosity, intellect, and passion with all that our diverse Bay Area Jewish community has to offer. Meet Dara and Oded Pincas! 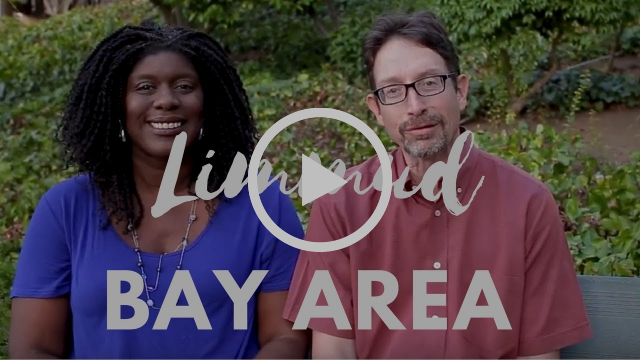 Dara and Oded are the volunteer co-chairs of the 2018 Limmud Bay Area Festival. Thank you Dara Pincas for representing the Limmud Bay Area 2018 Volunteer team at the Limmud UK Festival this year! Looks like it was a ton of fun learning! What happens when the old guard meets some of the new best and brightest? Great Limmud Bay Area Festival 2018 ideas fly!